Jurlique has used PIQET for five years to improve the environmental impact of their packaging. We met with their Environment Officer, Yoshie Obara to find out more. 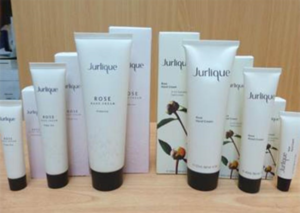 Jurlique was founded in 1985 by Dr. Jurgen Klein and his wife Ulrike. They sought the purest place on earth to establish the Jurlique farm, and found it in the pristine environment of South Australia’s Adelaide Hills. As the only Australian beauty brand with their own certified biodynamic farm (certified by NASAA, National Association for Sustainable Agriculture, Australia), Jurlique has been the leader in natural skin care science since 1985, and apply advanced technologies to biodynamic ingredients to create high performance, potent skin care for healthy beautiful skin. Jurlique’s products rely wholly on the health and potency of its botanicals. This means sustainability and a healthy earth are paramount to Jurlique’s success and purity of products. In 2009 Jurlique’s “Green team” was established, bringing together professionals across different departments to reduce the company’s environmental impact. They introduced environmental management and carbon monitoring systems in 2010 to support this. Their big project at the moment is the development of a new state of the art production facility integrating best practices in energy and water efficiency, renewable energy, water recycling and innovative onsite water treatment. Jurlique’s excellence in packaging sustainability has been recognised by the Australian Packaging Covenant (APC) with awards in the small Pharmacy & Personal Care category in 2014, 2015 and 2016. Jurlique uses PIQET to assess the environmental impacts of packaging options whenever they change packaging designs. The automatically generated environmental profile of each design option is provided along with all the economic and technical data to the decision makers. 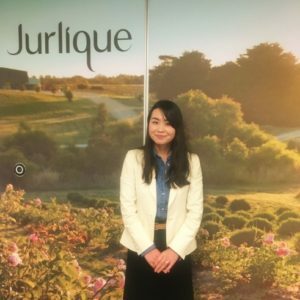 Yoshie Obara, Jurlique’s environment officer, undertakes all the assessments using data provided from the design department. “Sustainable packaging is an important element in the design of all of our products. We carefully consider where all of our packaging materials come from and what impacts and stresses they place on the planet’s resources; this is done using a Life Cycle Assessment (LCA)” said Yoshie. It takes her around half a day to assess a totally new design, but only around an hour to generate comparisons of existing designs. The ease of the assessment was an essential factor in making PIQET a systematic part of their decision making. A great example of savings through packaging changes is their transition from aluminium to plastic tubes. Jurlique’s PIQET assessment indicated a reduction in environmental impact of the packaging by over 25% and the improvement eliminated around 70% of the volume of product wasted at filling and during transportation. Jurlique’s aluminium tubes (left) were replaced with a new plastic range (right) improving the environmental impact by over 25% according to their internal assessment.